Hello! I want to study English, so I'll write my blog in English and Japanese. I wrote my first blog the other day, but it was just test. I'll try to introduce my these days today. This picture is my friends whom had had same class of job trainning for 3 months. The course was children's English teacher training. Job training is public system for unemployments. I had worked for about 5 years, but I quit and took this course. Classmates had each purpose and our age was also each. I had a good experience with them. 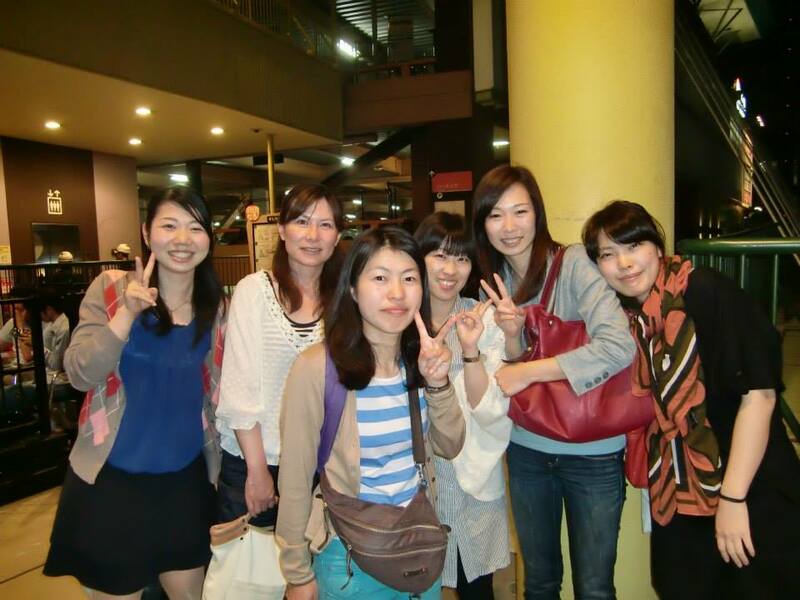 I decided study abroad, so I could meet them. 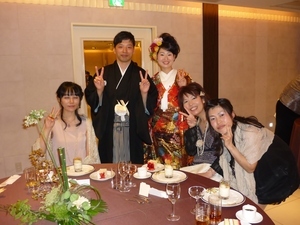 They had a farewell party for me, because I'm going to leave for Canada soon. I worked at a hotel's restaurant after that training. Because I had 3 months before I leave for Canada,and I wanted chance to talk with foreigners. So I chose an international hotel. It's very hard work though, I enjoyed. 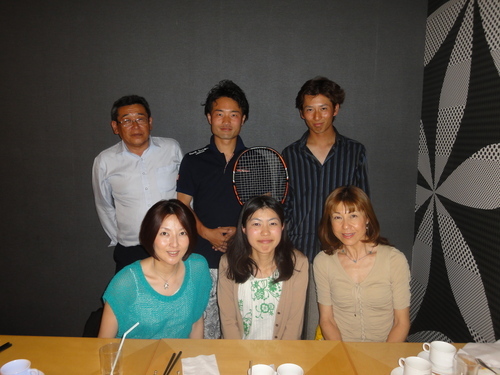 I and my tennis friends went having the dinner at that restaurant yesterday,that maneger served for free. We were really surprised. The maneger said "Because Ohta-san has worked hardly." I was really happy. I had also painful experience though, I was rewarded. And my best friend's wedding. I said for her "Congratulations!" She said for me. "Good luck!" I had a good time. And I could see other friends after a long time.